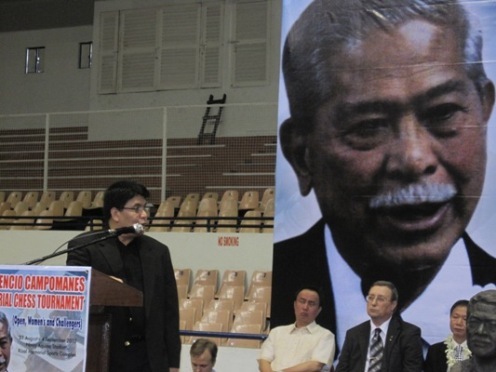 The 1st Florencio Campomanes Memorial with 205 players in three sections was held from 28th August to 3rd September at the Ninoy Aquino Stadium in Manila, Philippines. In the main open, top rated GM Le Quang Liem achieved a crucial victory in the last round against the third-seeded GM Zhou Jianchao to catch up with GM Zhao Jun on the shared first place. They both collected seven points from nine games. However, Zhao Jun was declared winner after summing up tiebreak scores. China 2009 champion GM Ding Liren and winner of the preceding 6th Prospero A. Pichay Jr. Cup GM Anton Filippov finished with the group of players at 6.5 points. Top Filipino performers were GM Wesley So, GM Darwin Laylo and IM Richard Bitoon, new member of the national squad replacing GM Rogelio Antonio, all concluding the campaign on 6.0 points. Women Cup had 20 participants and among them seven Grandmasters. Shen Yang of China wins the race with 7.5 points from 9 rounds, half a point ahead of her compatriot Zhao Xue. The unrated Emmanuel Emperado topped the Challengers Cup by collecting 8.0 points from nine games. 110 players took participation in this group. 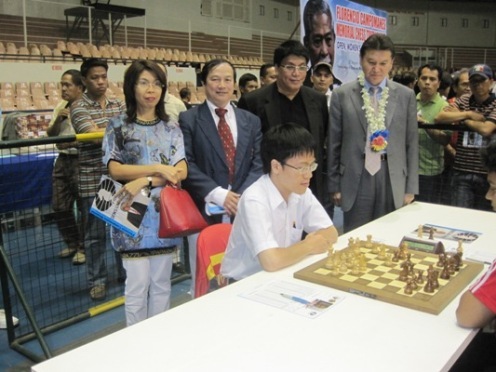 The idea to hold the tournament was born two months ago in Manila during the visit of the FIDE President to the Philippines. 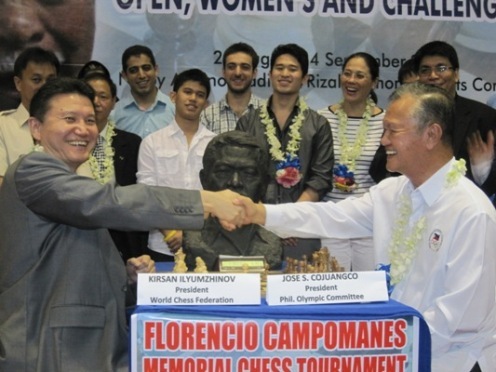 Kirsan Ilyumzhinov proposed the organization and financing of a tournament with an unprecedented prize fund of 1 mln USD to grace the memory of his predecessor, the 5th FIDE President Florencio Campomanes. These tournaments with prize fund of 100,000 USD each will be held for 10 years in various ASEAN countries.